You say "Tomato", I say "Tomata" - I Love ABA! You say "Tomato", I say "Tomata"
One of the most frustrating things about being an ABA lover is seeing how so many others copy or take from ABA, call it something different, and then market it to people as “anti-ABA”. It’s kind of like someone steals your pink lipstick, starts calling it “ponk” lipstick, and then proudly wears the lipstick and tells everyone how much better their “ponk” lipstick is than your “pink” lipstick ever was. There are consumers out there who do not know how to evaluate if a treatment is quality, effective, and ethical. How does a teacher know if the intervention being pushed on them by the school is effective or not? How does a parent know if the professionals they have hired to work with their child actually know what they are doing? And what client has the time to waste while this is all figured out? EBP’s, or Evidence Based Practices, are interventions or strategies that have been consistently and robustly shown to be effective. In other words, they work. Lots of people, in different settings, have demonstrated that the strategies work on lots of different kinds of individuals. To name a few EBP’s: Antecedent Based Interventions, Differential Reinforcement of Alternative Behavior, Discrete Trial Teaching, Extinction, Functional Communication Training, & Pivotal Response Training. If you are a regular reader of my blog, or if you are just really, really cool, then you’ve already noticed something about these EBP’s. They are all ways to implement ABA! Yes, ABA is much broader than you think. If you are doing XYZ treatment and find it effective, it most likely includes some ABA elements. If you are doing XYZ treatment and it isn’t effective, then it likely does not have any ABA elements. More ABA professionals need to help consumers understand that what we do is very simple. We pull from a collection of research proven methods to develop individualized (just say NO to cookie-cutter) treatment plans for anyone who seeks our services. But we don’t stop there. THEN we carefully and diligently collect data, analyze that data, and then make decisions on the effectiveness of our intervention based on that data. Is the treatment working? The data will tell us. I hate, but also love, when a family reaches out to me and through the course of consultation I realize they are dealing with a very poor quality ABA provider, or a provider with a different name who is really just selling knock-off quality ABA. I hate it because it makes me angry that people are very deliberately ripping consumers off and selling them a rock painted red and calling it a “tomato.” I love it because I can help that family by educating them, providing them with resources, and explaining what ABA actually is. Just say no to cookie cutter… Cookie cutter is bad. Treatment should be individualized to the client receiving services. Initial and ongoing assessment is necessary to determine the learner’s strengths and deficits. Ongoing data collection is necessary to determine if learning is occurring. If it is not, change something. Behavior management must include getting to the root of the issue (function). No one works for free: Reinforcement. Reinforcement MUST be individualized to be effective. Generalization is making sure the skill taught can occur in a variety of ways. Maintenance is making sure the skill taught actually stays, and doesn’t evaporate. Identify and evaluate learning variables: What happens if you say “Give me the block” vs “Give block”? What happens if you prompt after 2 seconds vs 4 seconds? What happens if you provide instruction after lunch vs before lunch? The methods you use to teach are based on what works (EBP’s). 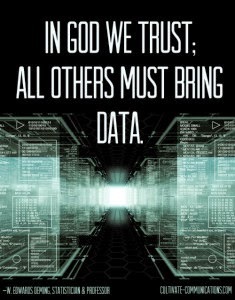 So science and data – yes....... Your opinions, marketing tactics, or your feelings - no.